Corsair has recently upgraded the Scimitar series with the PRO RGB models, which feature a 16000 DPI PMW3367 optical sensor, onboard profile storage and comes in two different color schemes. The RGB lighting can be configured in four different areas, the twelve side button assembly can slide inside the chassis in order to be easy accessible, while the product is fully supported by the CUE 2 software, which allows powerful customization and integration with other RGB Corsair Gaming peripherals. 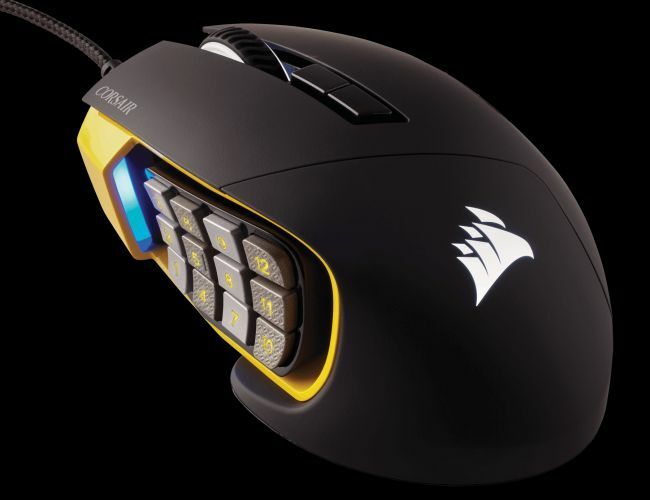 At first we would like to thank Corsair for offering us the Scimitar PRO RGB Optical MOBA/MMO Gaming Mouse for testing and reviewing.